The Rheem RTG20216B is a commercial conversion program chip for your RTG-84DVP. 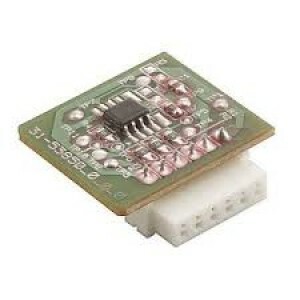 This chip allows your unit to be used in commercial grade applciations. The RTG20216B can easily be installed into the RTG-84DVP without a technician, and raises the maximum temperature on your tankless water heater up to 185°F. This conversion kit should only be used with the RTG-84DVP and is not designed for any other unit. Note: Only model RTG-84DVP can be converted using this program chip, make no attempt to convert any other tankless model.